Technological progress is changing work and working lives. However, this does not have to lead to widespread unemployment, according to Matthew Taylor, Chief Executive of the Royal Society of Arts, and Aleksi Neuvonen, co-founder of the Demos Helsinki think tank. Even if technological progress and automation will probably lead to jobs disappearing, there will always be a need for meaningful activity by people and between people in society. 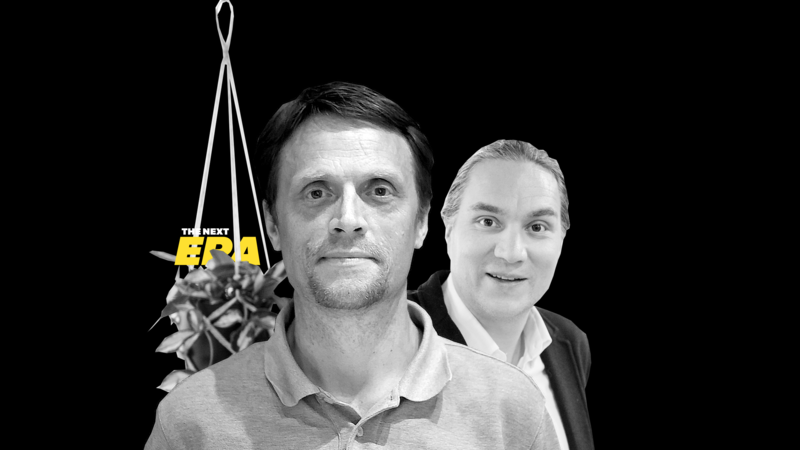 Matthew Taylor and Aleksi Neuvonen discuss how it could be possible to build a better society amid the major transformation in people’s working lives. To succeed, we need to pay attention to learning opportunities at work and basic economic security, as well as open up discussion on what human progress will be based on in the future. There has been lots of discussion about the change in work and its associated societal consequences. The rise in “gig work”, enabled by a host of different platforms, such as delivery services, has attracted particular attention. How should society take this development into account? Taylor: In Britain, there’s lots of talk around platforms in the retail sector where they enable hiring people only for the busy hours, for example in the morning and in the evening. For individuals, this may be disastrous or useful. They lose the eight-hour work day and the benefits that come with it, and they may have to work at different parts of the day. On the other hand, some people may want to work part-time and they prefer it if they don’t have to spend part of the work day doing nothing. They might like working part-time if they want to top up their income, or earn while studying or during retirement. We have to make the new forms of work function alongside people’s life choices, and ensure that employee protection systems also develop in line with this. Neuvonen: Protecting people from exploitation is important when work is increasingly being carried out outside of routine full-time jobs. I would say a bigger change than “gig work” is the changing attitude towards work and the whole perception of work. For example, many do not see working time as a meaningful tool for measuring employee contribution in knowledge intensive tasks. Nevertheless, many norms such as measuring work time are still widely used. These norms often collide with people’s increasing desire to be more self-autonomous at work. I think we should better understand what motivates people in order to get the best out of people. Taylor: There’s lots of talk about mass unemployment as a result of technological progress. I would argue that development does not necessarily have to follow such a path. Some tasks will not require human labour in the future as technology progresses, but there are all sorts of new tasks and new possibilities. We could double the [number of] social care workers, teachers or people who work to maintain public spaces. There will always be a need for such meaningful activities! It’s not a technological issue we are dealing with – it’s an economic one. What if there are no earning opportunities available to people? Taylor: It’s important to remember that at the beginning of industrialisation the income of the working class did not increase for decades. This period is sometimes referred to as “Engels’ pause”. If the same development happens again, our democratic system will face great challenges. We should pay attention to how society could function well in the midst of the transformation and manage the transition carefully towards a world that will be much better. Neuvonen: We have to prepare for a new “Engels’ pause”, absolutely. We should not treat the disappearance of jobs and deteriorating working conditions as laws of nature. We need social innovations: we can make radical changes at many levels of society, such as in the economy and legislation, in order to build a better society and create earning opportunities. What could society do to support people in the middle of the transformation? Taylor: Universal basic income would bring economic security to all. In Britain, if you lose your job, it might take weeks to start receiving benefits. Basic income would help in such situations. But we also need strong work incentives. In addition, every job should be a learning job. In all jobs, people should be able to learn generic skills that are transferable to other jobs; such as leadership, teamwork skills, using one’s initiative, IT skills and so on. Jobs and roles should be planned from this perspective. Neuvonen: We need different solutions as there are people with very different situations. Universal basic income would be a good fit for people who already have some idea of what they want to do next. It would allow experimenting with new professions. But how could we inspire those who are not dreaming of new skills or a new job? I also agree that employers should be incentivised to offer learning opportunities. But how could employers be encouraged to do so more often? Taylor: I think jobs with more learning opportunities also encourage people to be more productive when they are able to use all of their capacity and learn new skills. Therefore, it’s not an extra burden for employers. Neuvonen: Also, artificial intelligence may in the future make it easier for new employers to find employees who have learned specific skills in their previous jobs. This is a huge change compared to what has been before: almost the only things that have mattered have been the job or degree titles. Another common theme of public discussion is the slow productivity growth in recent years. What should be done to boost it? Taylor: In July we published the Good Work review, which explains how better-designed work that gets the best out of people can also increase productivity. People will be more productive if you have high expectations for them, let them develop their ideas and tolerate failures. An important question for managers is: how can you encourage people to bring all of themselves to work? If managers believed that every job should have a certain level of autonomy and some learning opportunities, they would have to organise work in ways which would also lead to higher productivity. Of course, technology makes it possible to split tasks into smaller bits which can also increase productivity. Neuvonen: It is really important to get the best out of people. We should not compete with machines in tasks where the machines are inevitably more efficient. Instead, we should encourage people to develop in their jobs as much as they want – and follow this path to higher productivity. Economic growth has been at the core of policymaking – it has had a strong connection to employment and the financing of public services, among other things. Where will the focus lie in the future? Neuvonen: Opening up this discussion is highly relevant. When our activities increasingly involve something other than manufacturing goods and people can have their ends met with digital services that require less spending, it is really relevant to discuss how well and to what extent the gross domestic product (GDP), for instance, is a feasible yardstick to be used by politicians. In the future, growth itself may not necessarily be at the core of policymaking to the extent it has been. Taylor: In order to be popular, politicians have wanted to either cut taxes or increase spending on public services. Economic growth and positive forecasts give politicians more freedom to do one of these two things, or a combination of both. But could policymaking be more about building a better society through giving people opportunities, and assisting and supporting them? If the government did not depend on the two “moves” – cutting taxes or providing more services – could we find new policies? The result could be a more intelligent and more enabling state. In addition, I think we need to start thinking about how we can have successful economies that are potentially growing slowly. It’s important to discuss how we can understand human progress without having to rely upon three per cent annual economic growth. Matthew Taylor is a member of The Next Era Task Group that advises and challenges The Next Era work by Sitra and Demos Helsinki. The Next Era builds an understanding of the current transformation posing challenges to our societies and sketches the building blocks for the future success of the Nordic societal model. Aleksi Neuvonen, co-founder of Demos Helsinki, is a futures researcher and an expert in lifestyle changes.